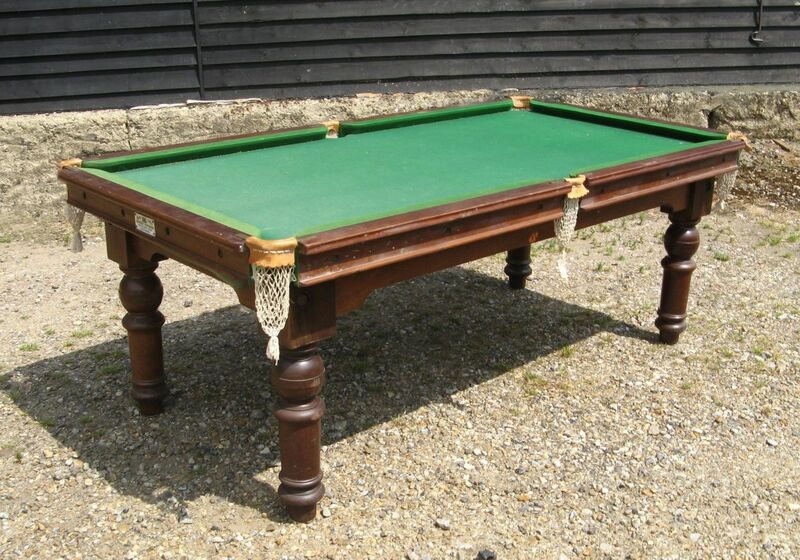 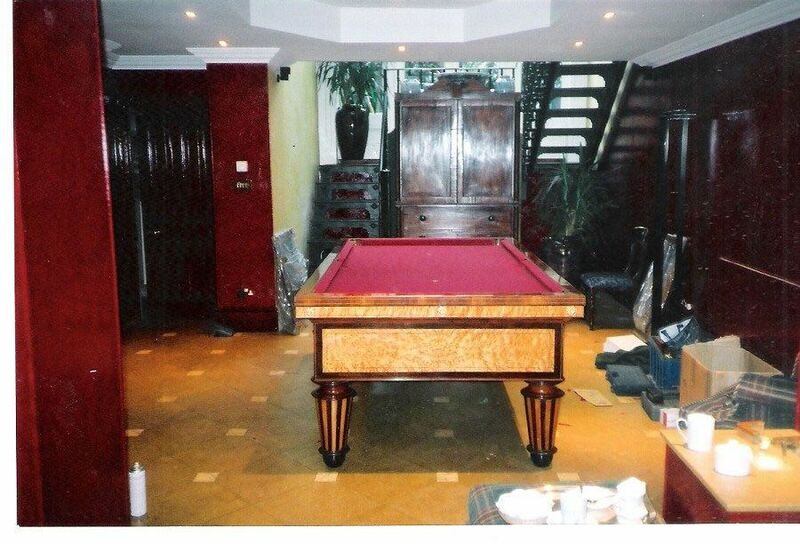 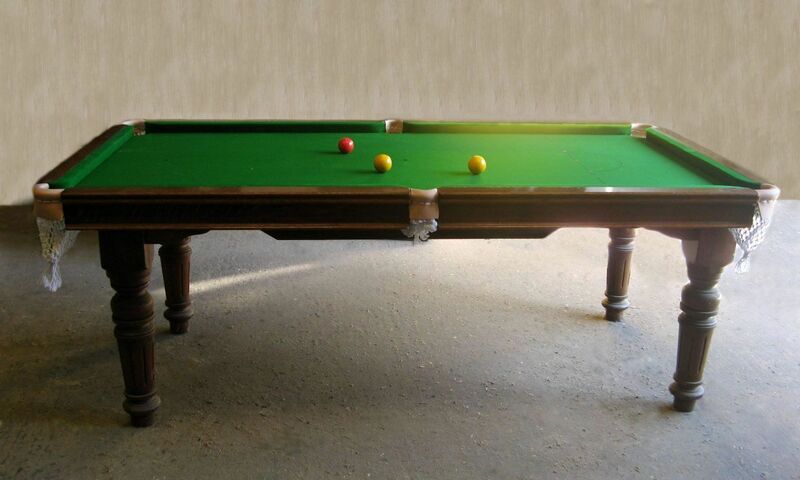 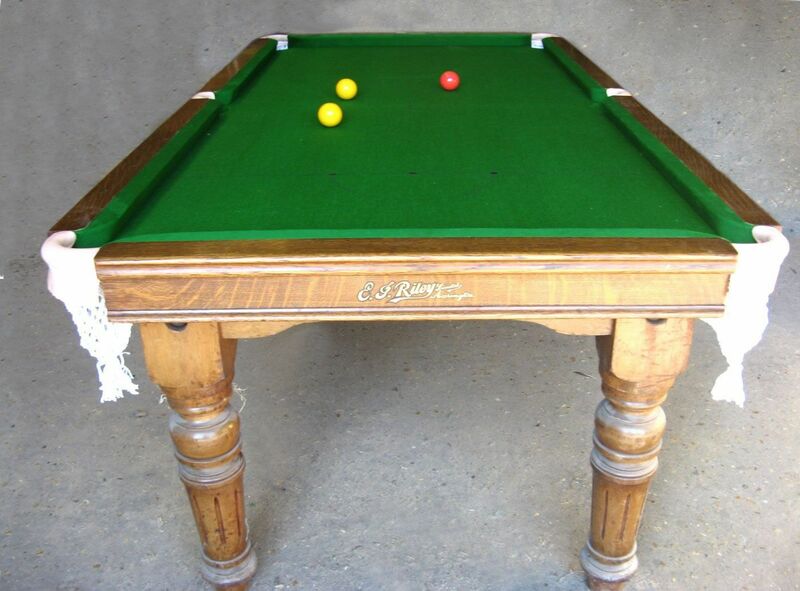 We have a large range of antique billiard dining tables of all sizes, and makes. 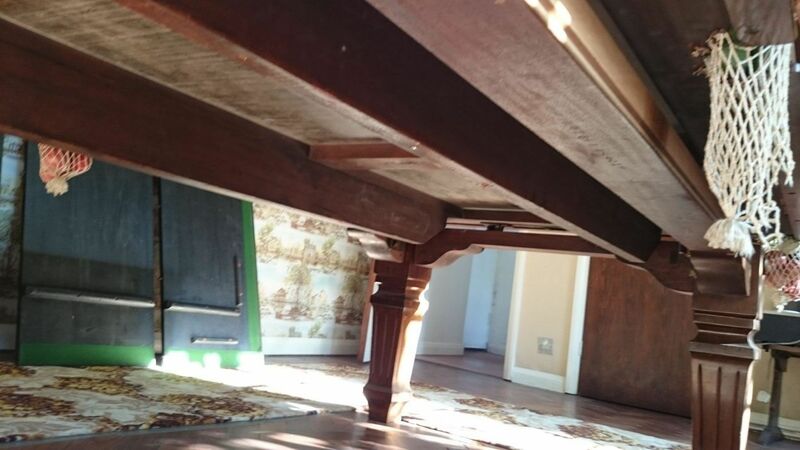 These are ready to be lovingly refurbished, to suit your own personal specification. 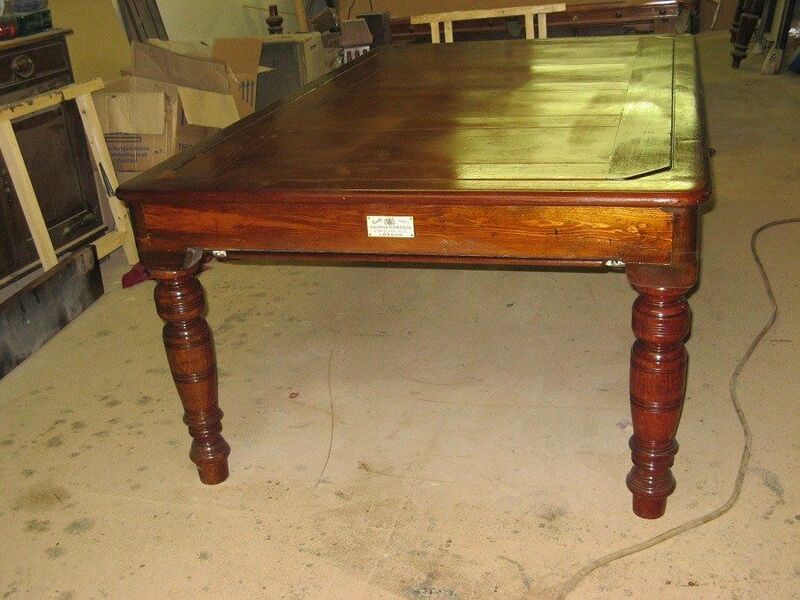 If you’ve ever owned older pieces of furniture in the past, you’ve undoubtedly considered having them restored. 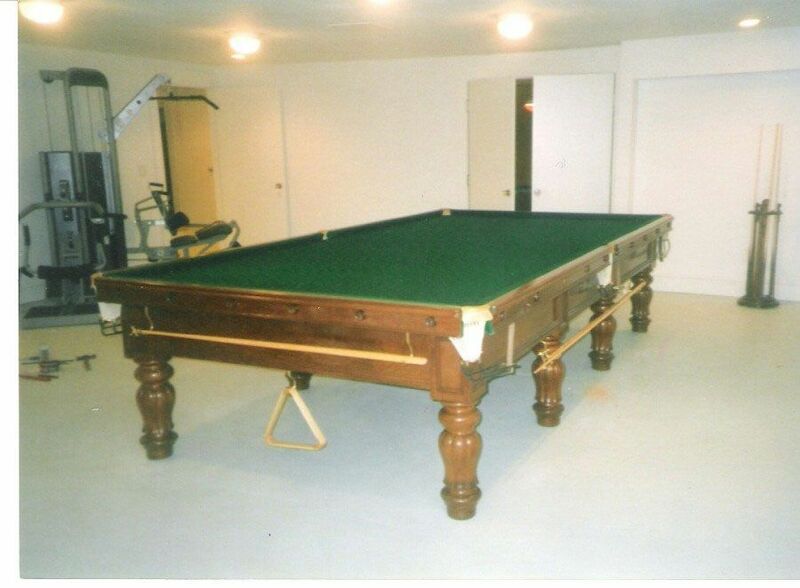 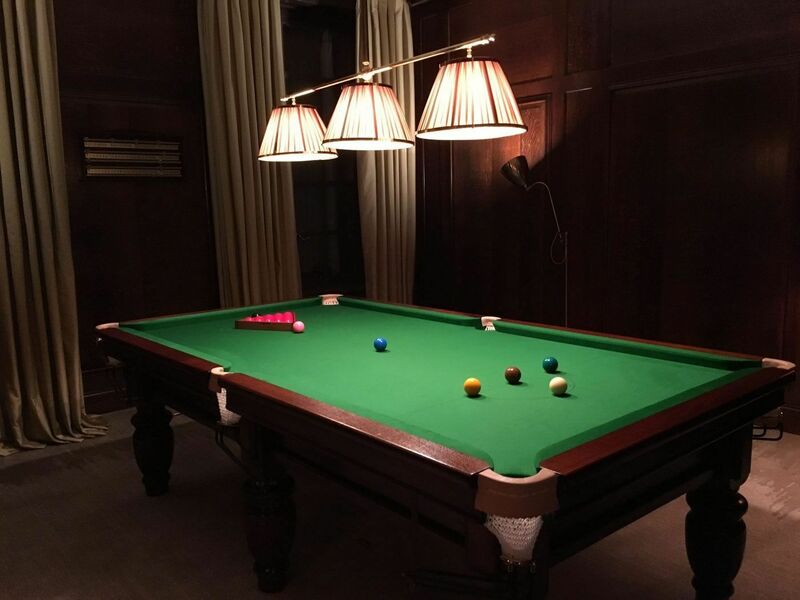 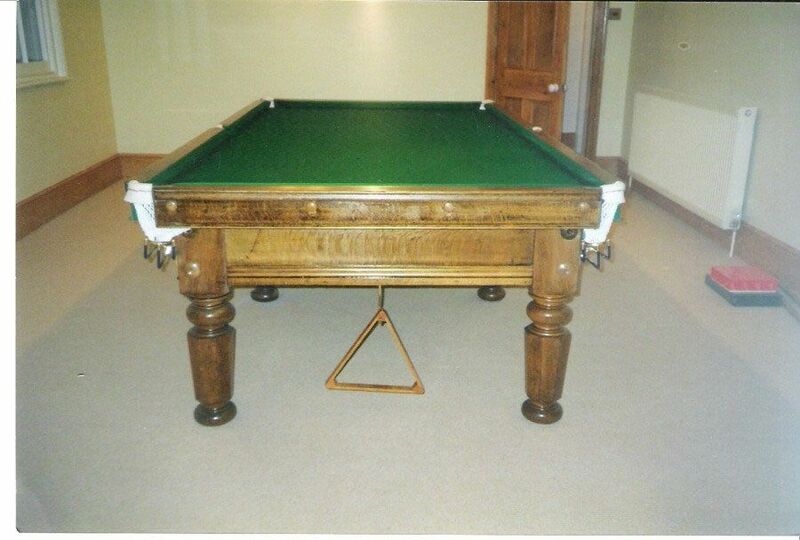 A thorough restoration is something that can significantly benefit your billiard table, especially if it’s one of the most used pieces of furniture in your home. 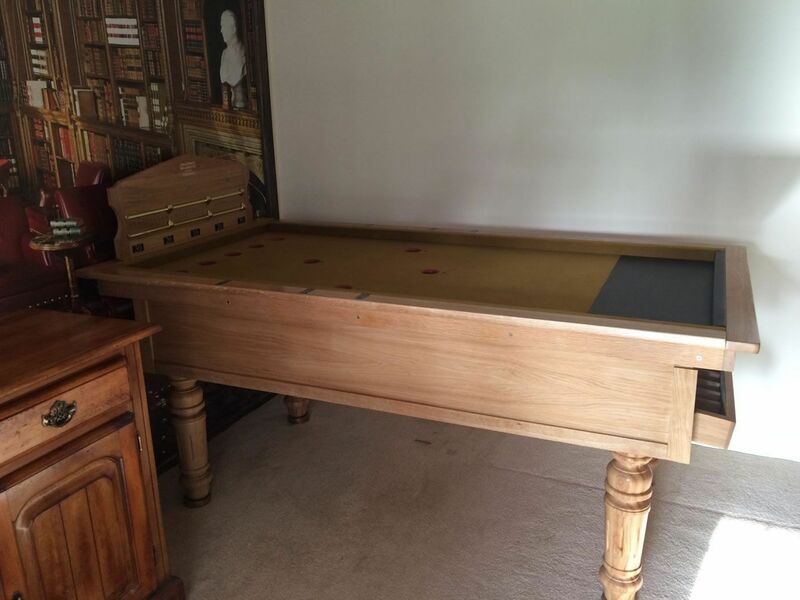 One of the most crucial elements of owning antiques is to make sure that you maintain them over the years, but without experience with older furniture, it’s something that most home owners don’t know. 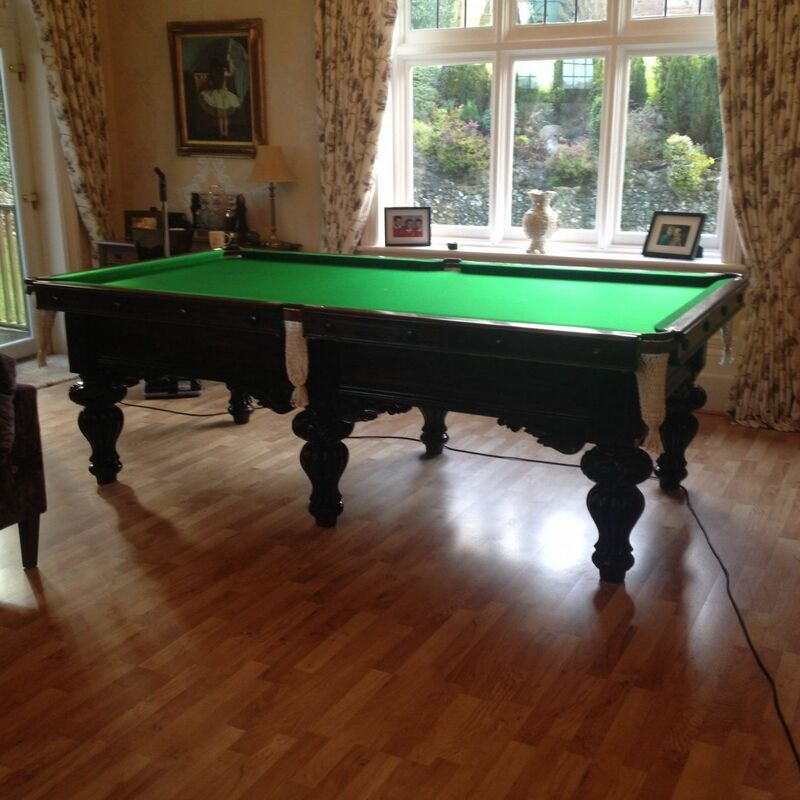 This is why we offer comprehensive restoration services that are specifically designed to bring your snooker table back to life. 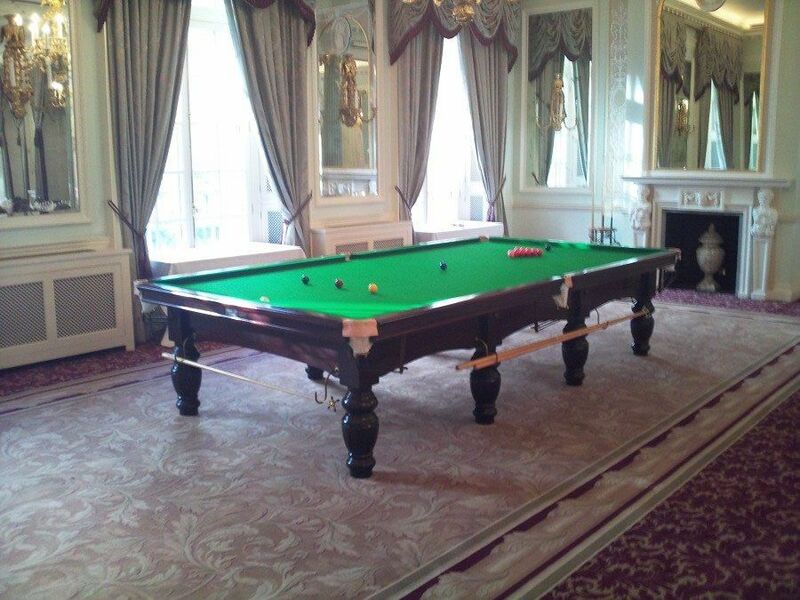 There’s much more to our refurbishment services than meets the eye. 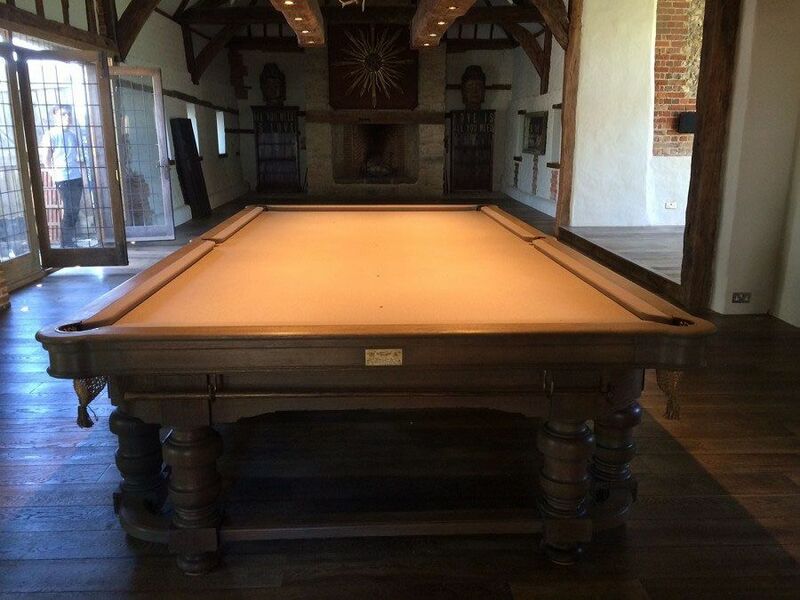 Instead of simply adding a thin layer of protective coating our team gives every billiards table the attention it deserves. 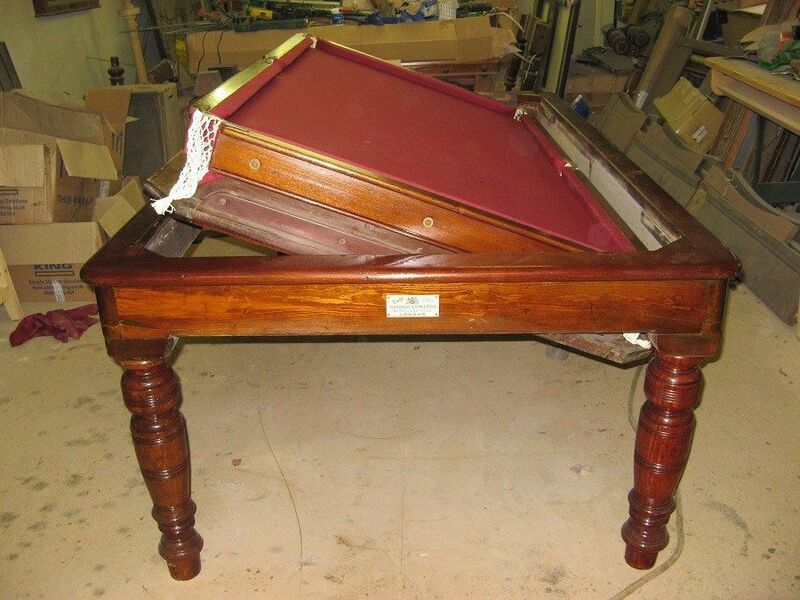 We will find any significant defects or flaws that take away from the overall character of the table and remedy them. 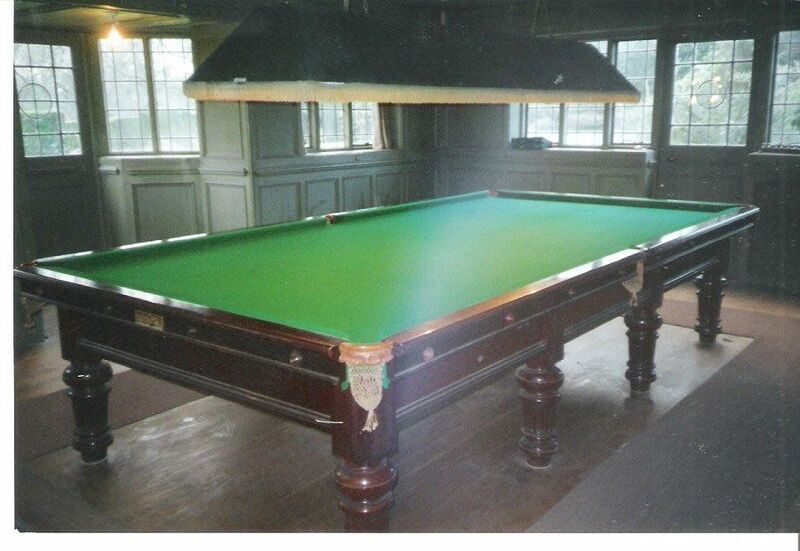 With our industry-grade restoration tools and our luxurious resurfacing methods, any worn antique pool table will emerge looking its best. 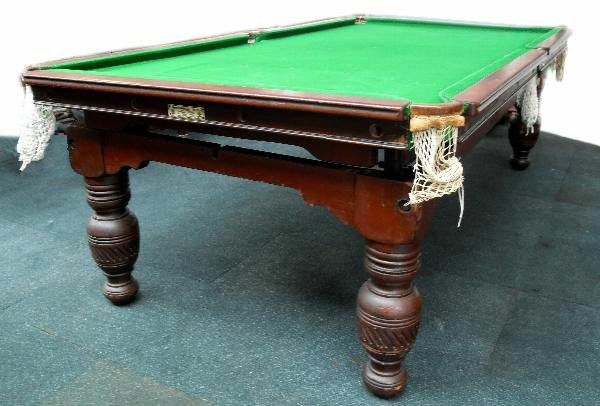 Another attractive feature that John Bennett Billiards brings to your antiques is the ability to customise our restoration services to make your snooker table look its best. 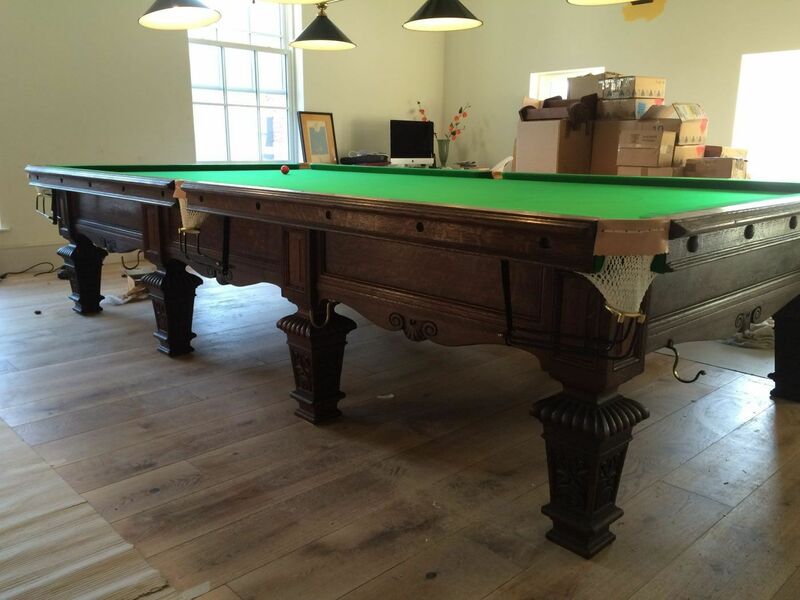 We understand that every antique is different both in terms of the wood used during construction and the aesthetic appeal you’ve been dreaming of. 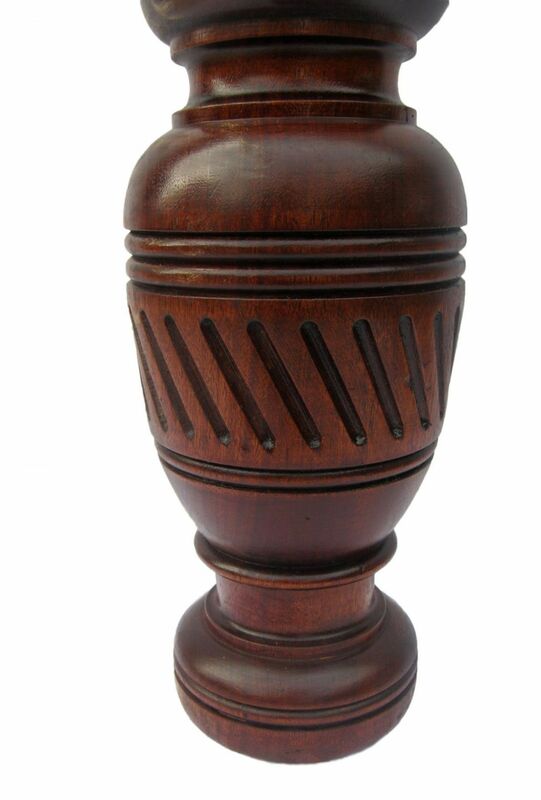 Much like every antique has its own story, each piece also has its own history and character. 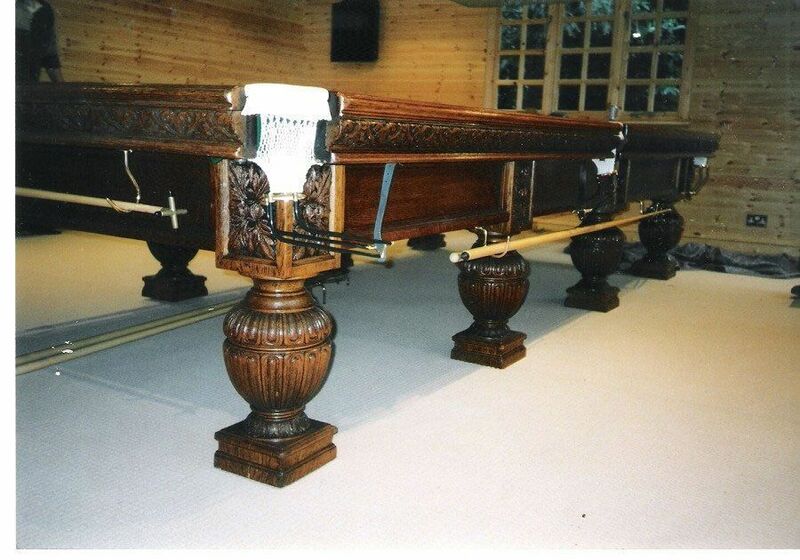 When it comes to restoring antique billiard tables, the process needs to be tailored for every single piece. 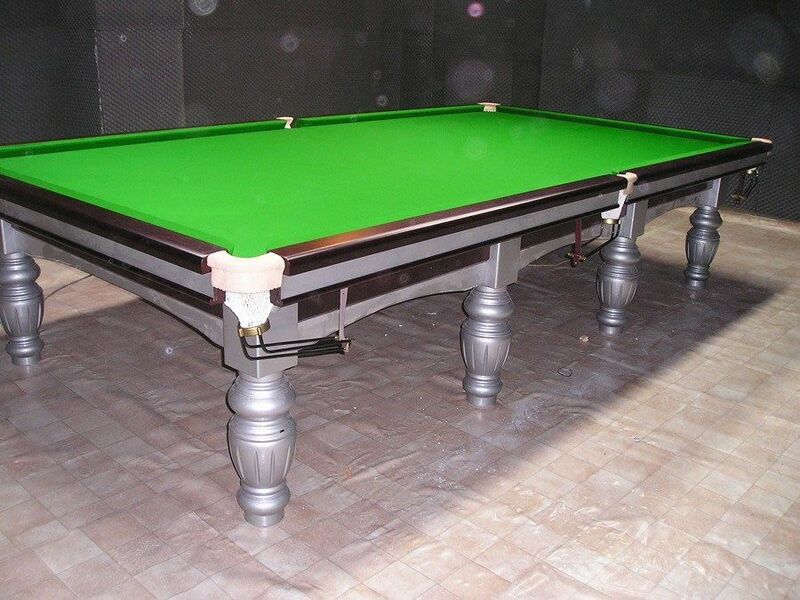 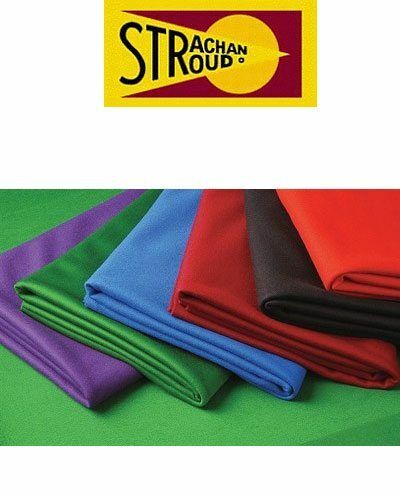 When you know that you have a functional snooker table in your home, there’s no need to worry about buying a brand new mass-produced one from a regular store. 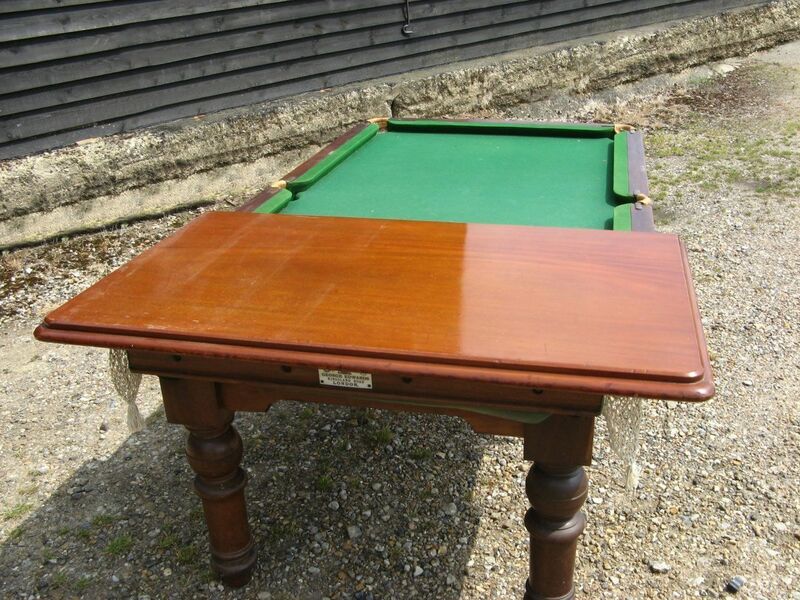 In fact, there’s not even a need to try to restore the table on your own to help cut costs. 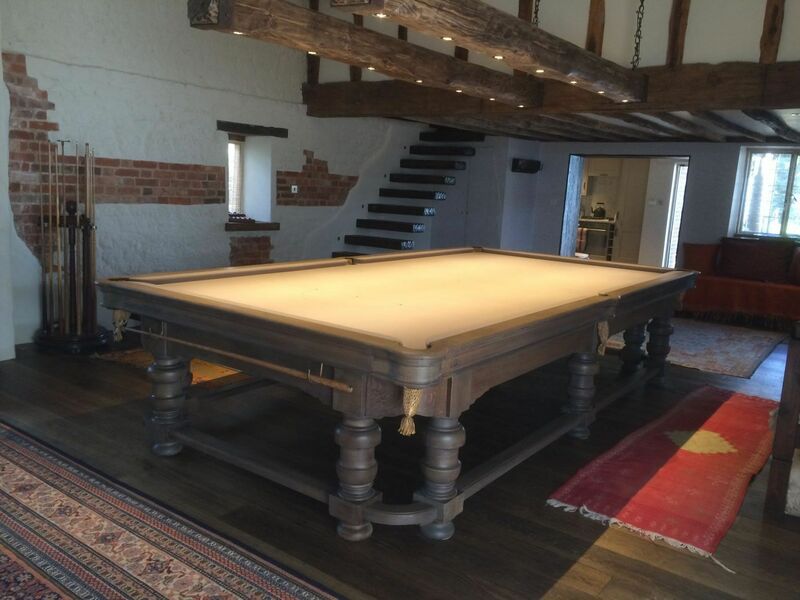 Our cost effective services can help you to save thousands of pounds and hundreds of missteps when it comes to revitalising your existing billiards table. 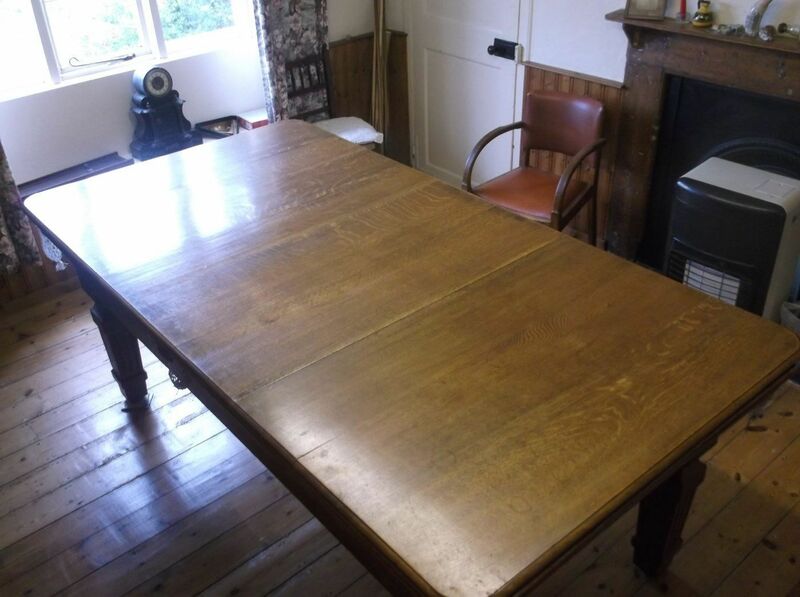 There’s nothing better than being able to restore an antique to its original excellence without having to spend the same amount you would on a brand new table. 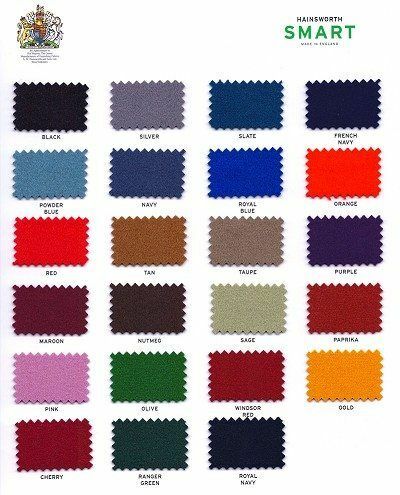 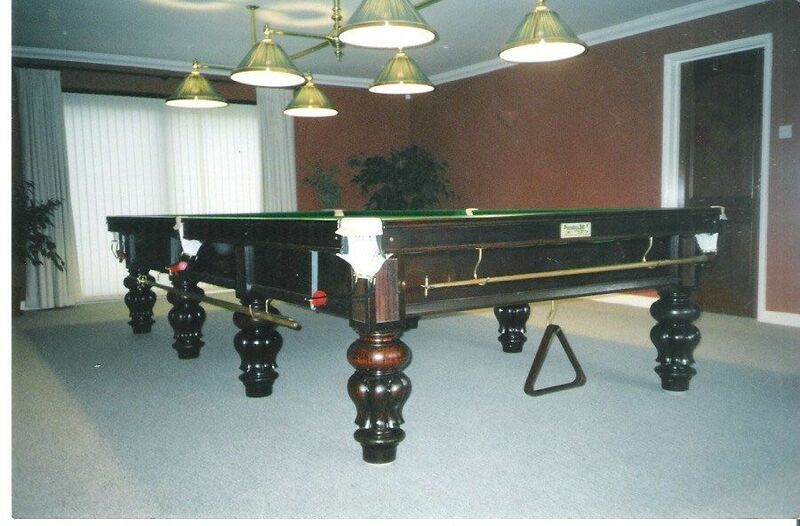 The beauty of your snooker table isn’t the only thing John Bennett Billiards takes into account. 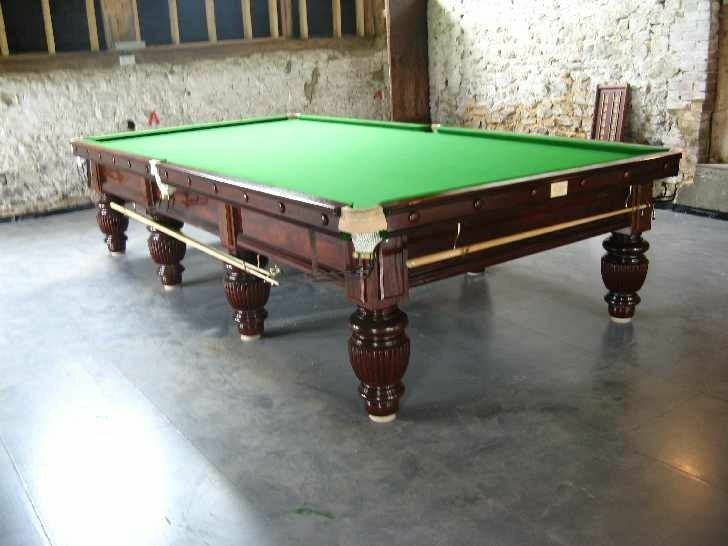 As snooker enthusiasts ourselves, we also understand the importance of having a game table that is equally as functional as it is aesthetically pleasing. 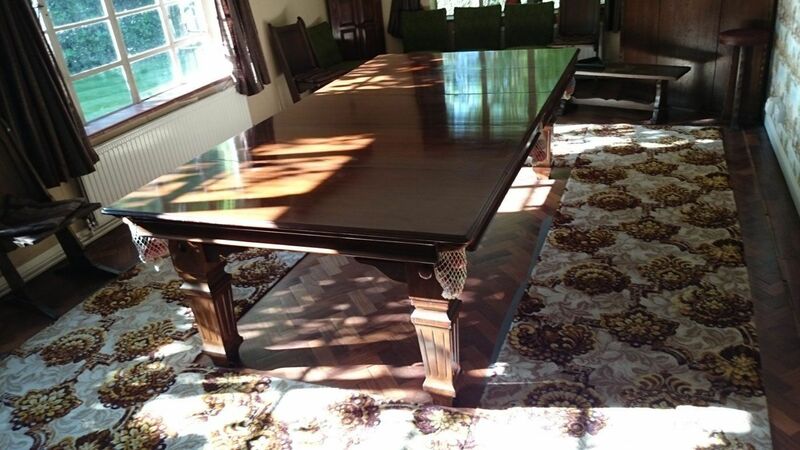 This is why we also offer a variety of services catered to make your existing antique table better to use. 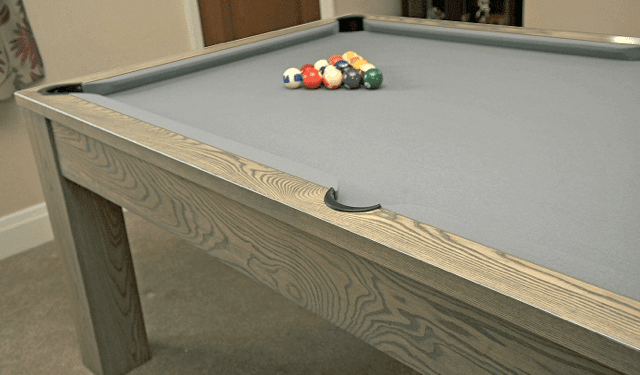 For example, in the event that the table isn’t level with the floor in your recreation room, we have the necessary tools to help create a flat playable space. 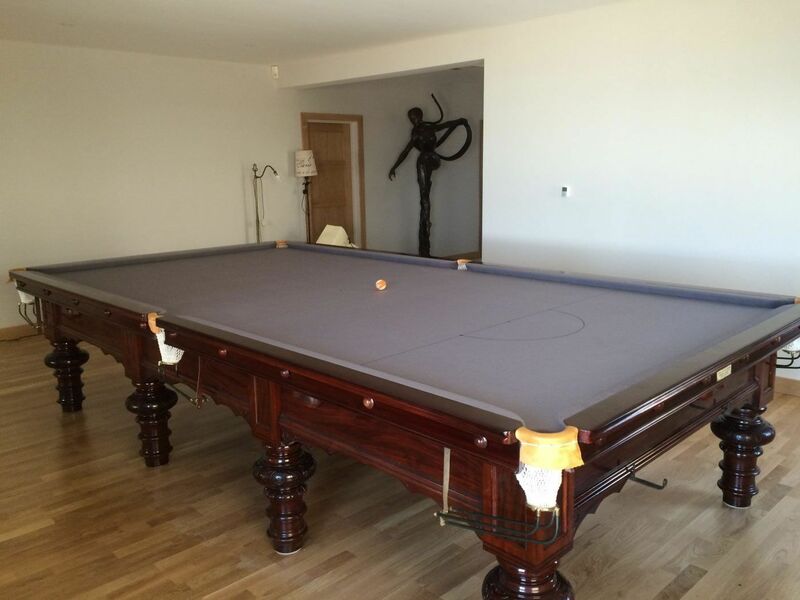 Our expert techniques and hands-on experience are exactly what your billiards table needs in order to get the best playing time possible. 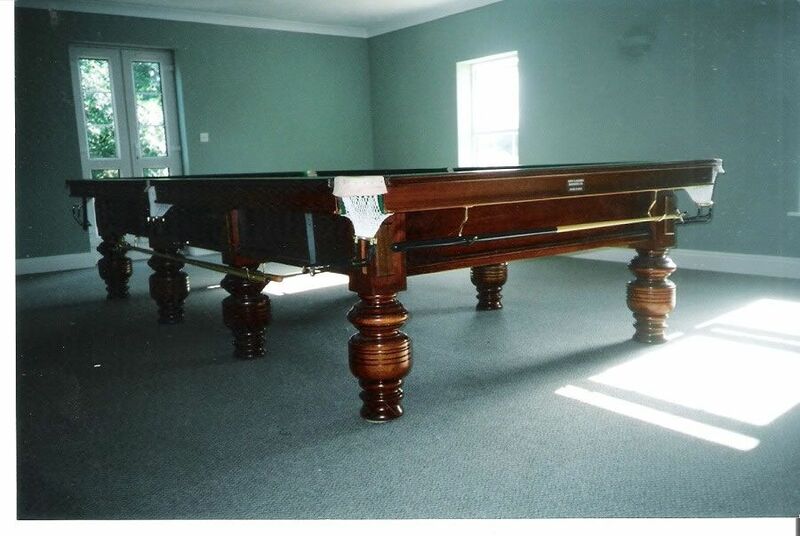 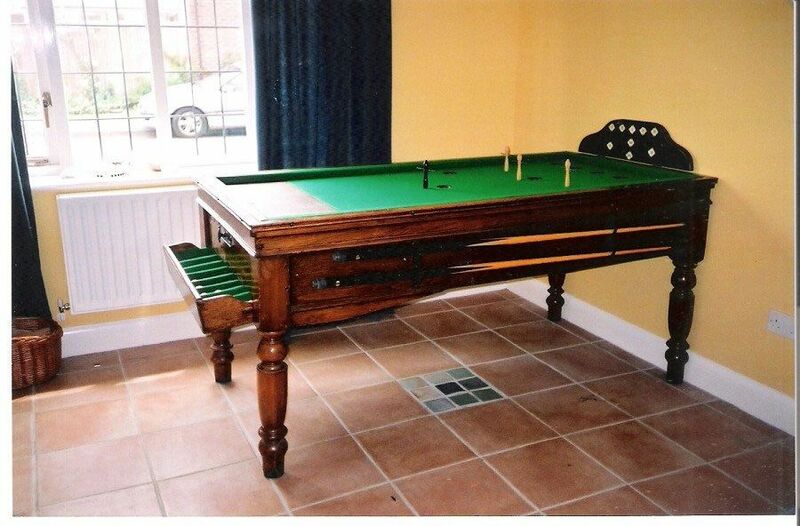 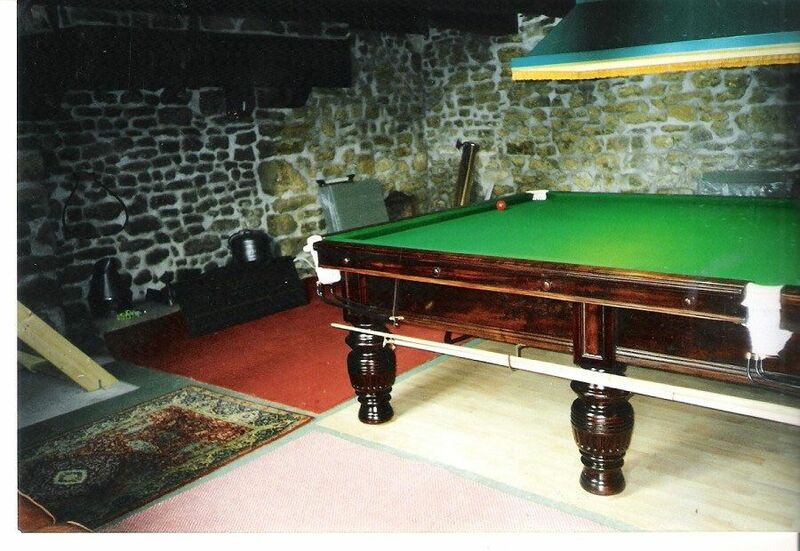 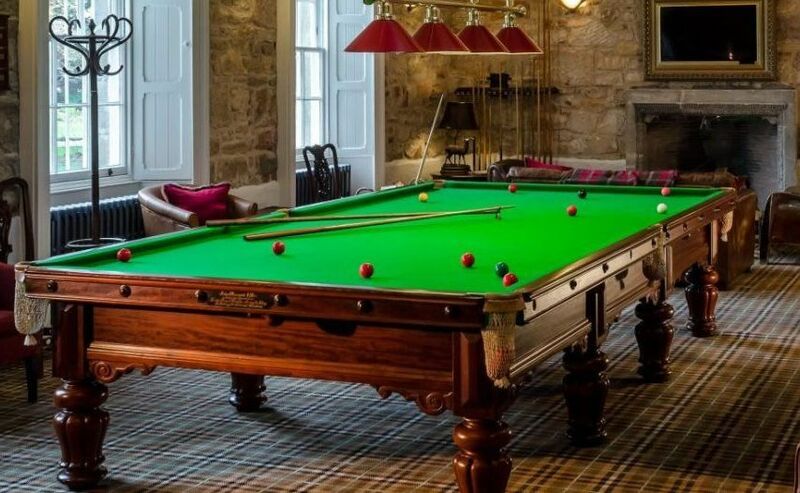 If you’ve been searching for the best way to revitalise the snooker table you’ve had stuck in a corner in your games room for the past several years, contact John Bennett Billiards today.